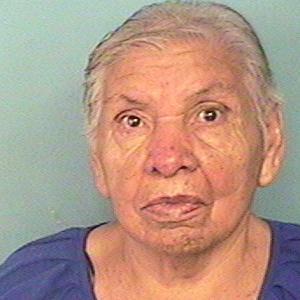 Lydia Arreola was last seen around 2215 hours on 02/17/16 in the area of Southern and Harris in Mesa. She left on foot in an unknown direction and family has not been able to locate her. Lydia's primary language is Spanish. Lydia suffers from Alzheimers. She was last seen wearing a maroon shirt, maroon pants and black shoes. She has an injured wrist.